I think I mentioned a while ago — hmm it’s been so long since I’ve blogged that I’ve forgotten what I wrote! — that I’ve been working on some big projects this summer. I hate sitting jn the heat with a mound of yarn on my lap, but what better way to pass all of this free summer time? 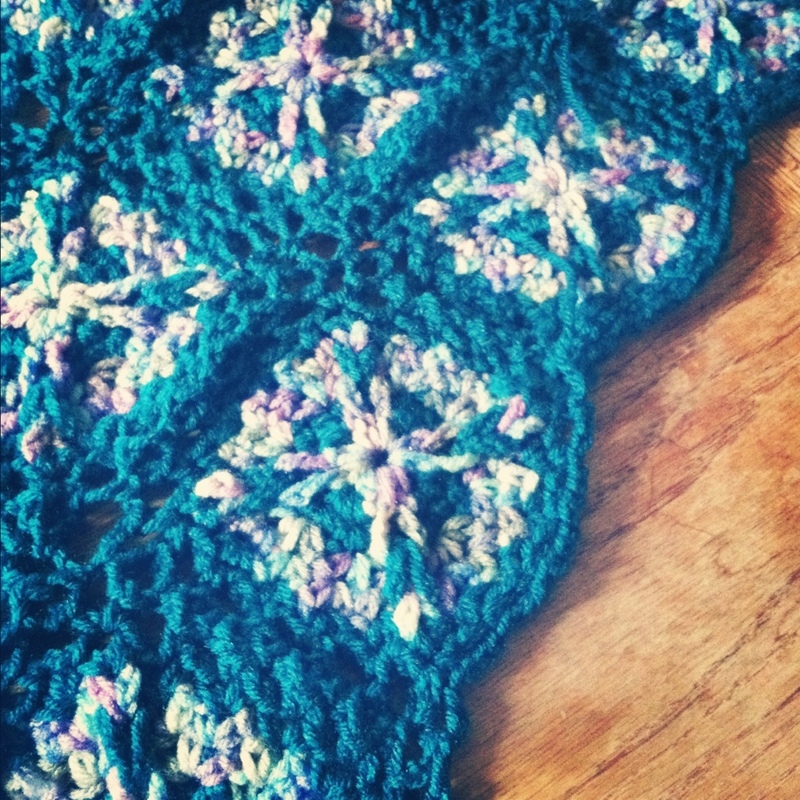 One project in particular, an afghan I was commissioned to make, is very slow going, but coming along great! Here’s a photo of the progress..
And good news! I finished a baby afghan but shh it’s a gift. Pictures to come after the baby shower. How have you been passing your lazy summer hours? Do you even have any lazy summer hours? !